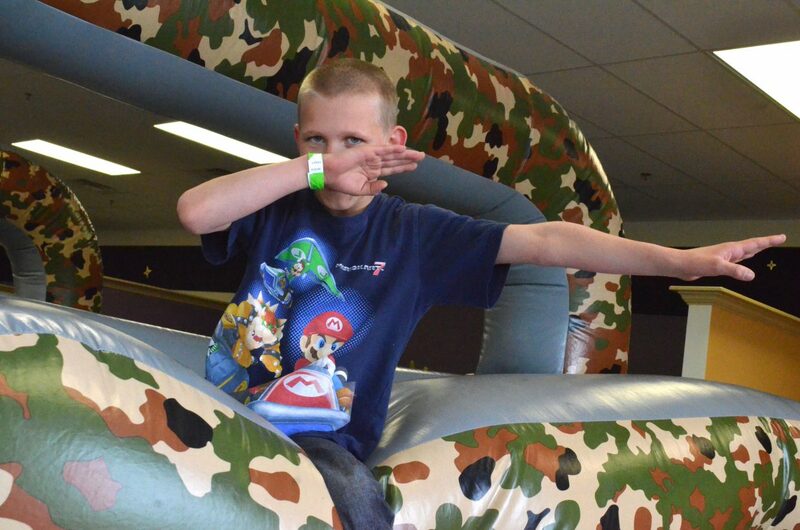 Wyat Hancock, 8, does the dab while climbing atop the equipment at Adventure Zone following Saturday's Easter egg hunt. The crowd readies for the start of New Creation Church's Easter egg hunt. 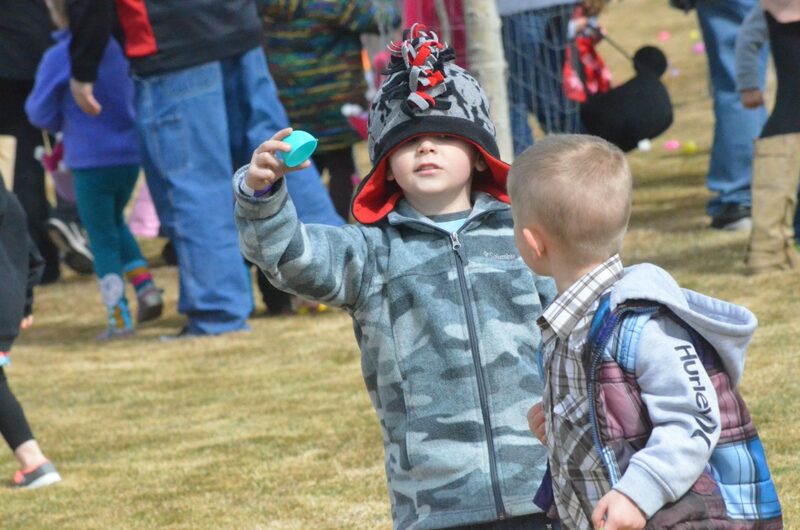 Young hunters examine an empty plastic egg during New Creation Church's Easter egg hunt. 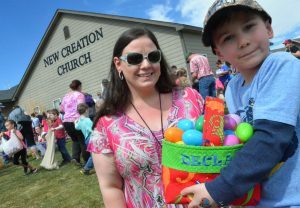 Kids grab as many eggs as their baskets and bags can hold at Saturday's Easter egg hunt at New Creation Church. 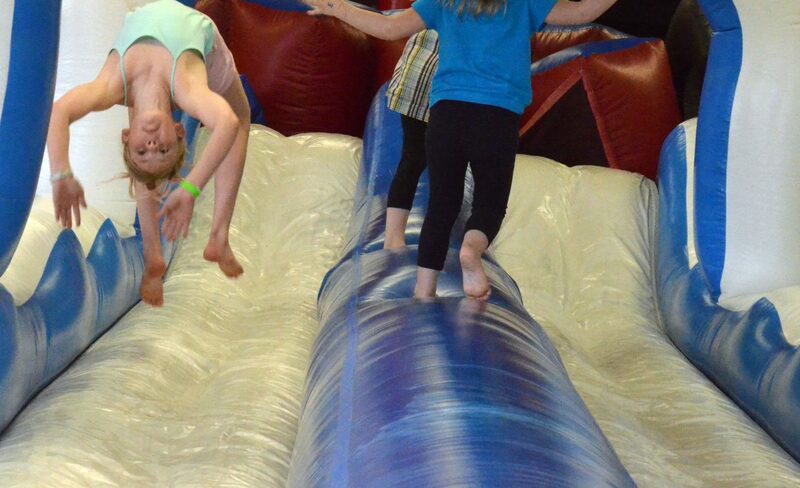 Maddie Soper, 11, performs a series of backflips on the equipment at Adventure Zone following Saturday's Easter egg hunt. 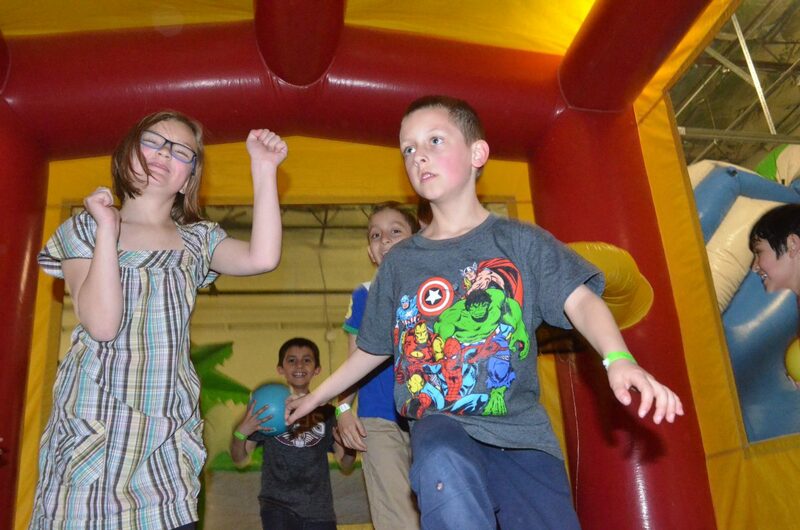 Kids bounce around during Saturday's Easter egg hunt at Adventure Zone. 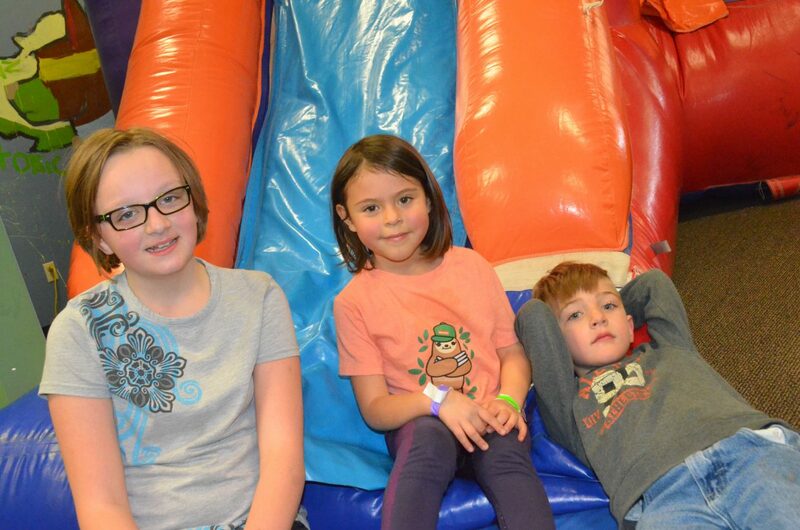 From left, Gracie Burks, 10, Annabelle Mackey, 6, and Christopher Merwin, 6, take a break from bouncing at Adventure Zone following Saturday's Easter egg hunt. 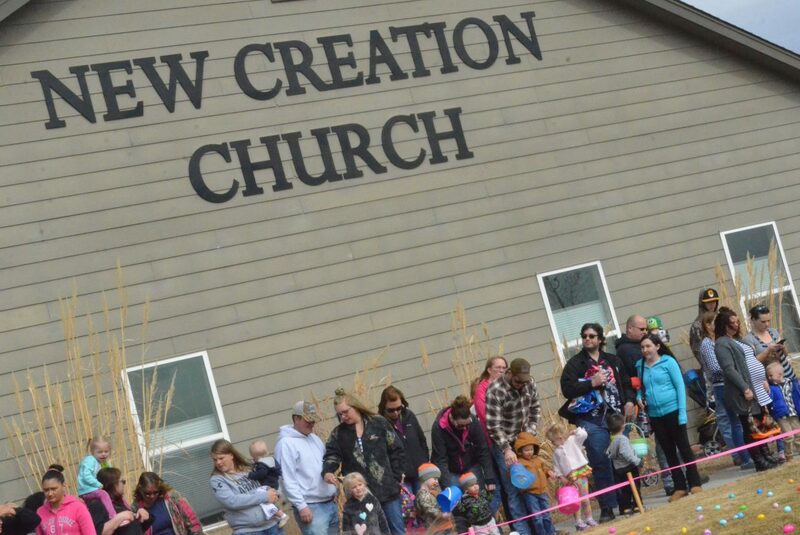 The Saturday Easter egg hunt at New Creation Church featured 25,000 eggs as well as multiple prize giveaways. 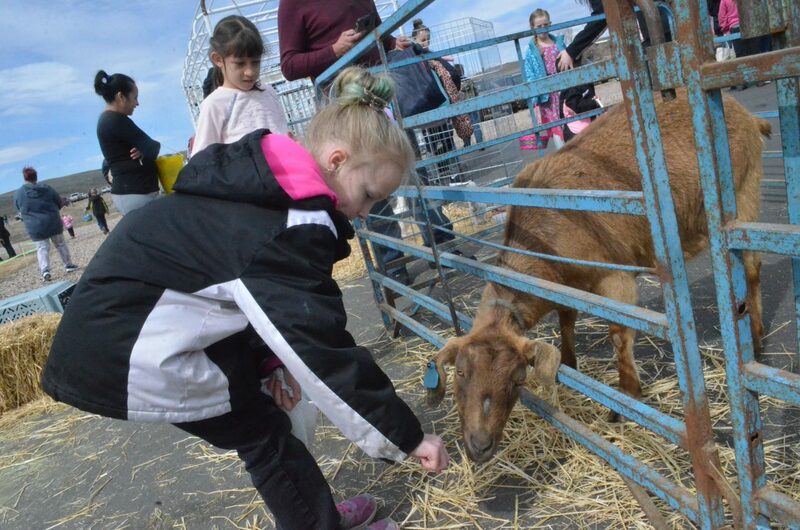 Goats, calves, rabbits and chickens were among the petting zoo animals at New Creation Church's Easter egg hunt. 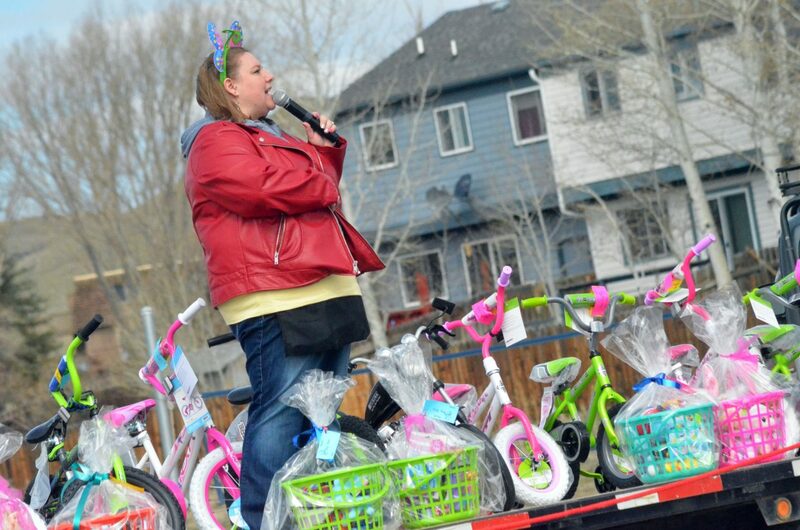 Event organizer Amber Goodenow makes announcements leading up to New Creation Church's Easter egg hunt. 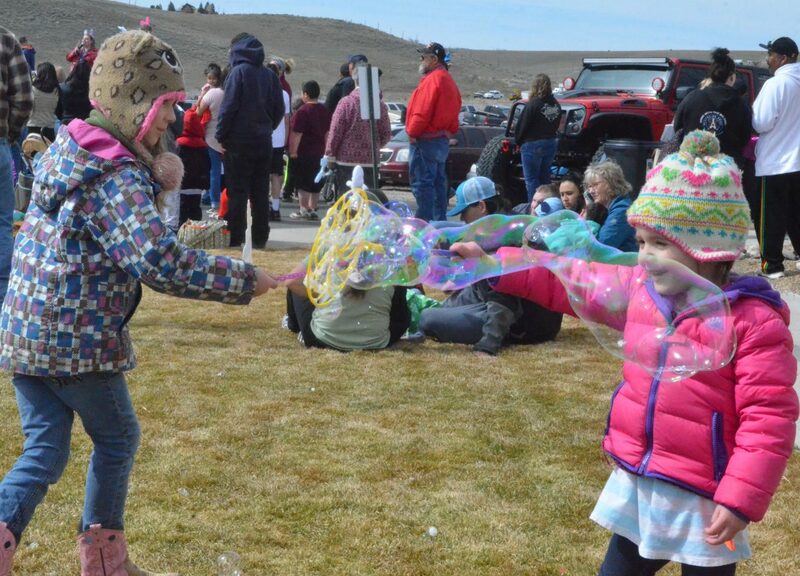 Sisters Lexi, left, 8, and Mia Stabile, 4, create some fun with bubbles during New Creation Church's Easter egg hunt. 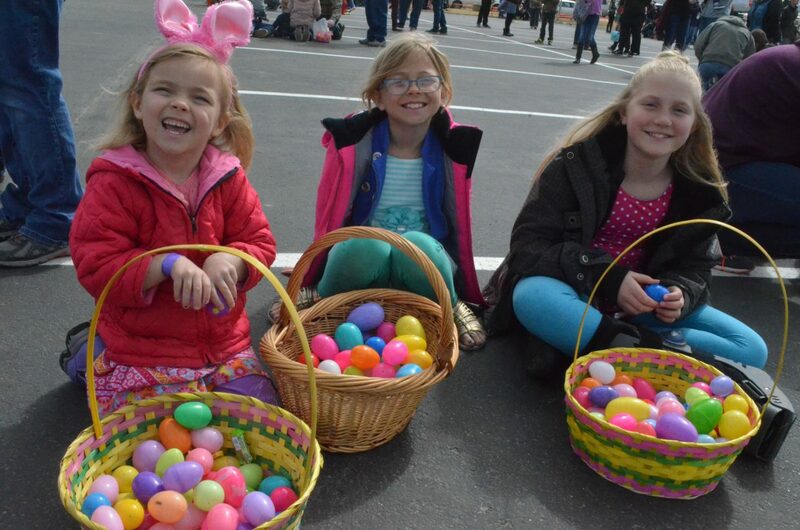 From left, sisters Isla, 5, and Emerson Thomas, 9, and cousin Makayla Puckett, 10, smile big with their collection of eggs following Saturday's Easter egg hunt at New Creation Church. 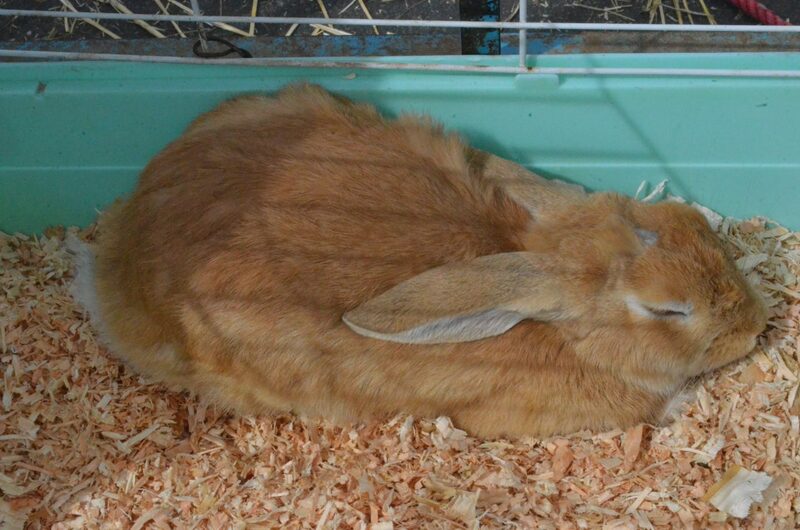 A rabbit was one of several animals in the petting zoo at New Creation Church's Easter egg hunt. 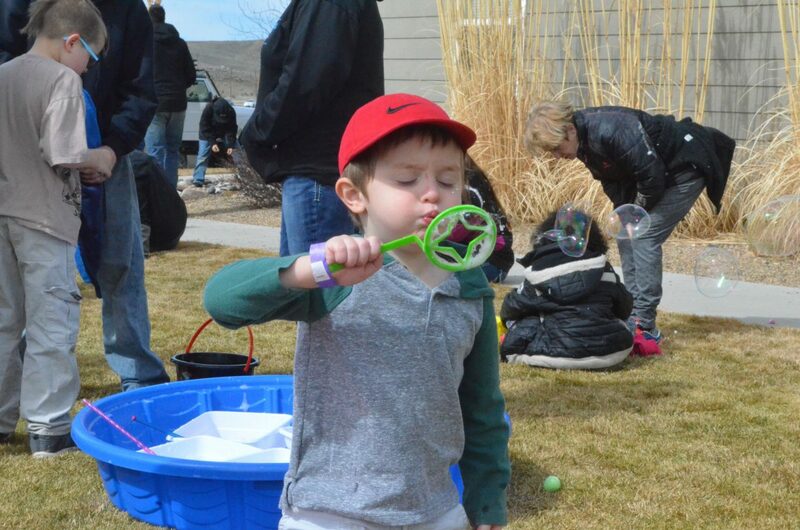 Braylen Curtis, 3, blows bubbles during New Creation Church's Easter egg hunt. 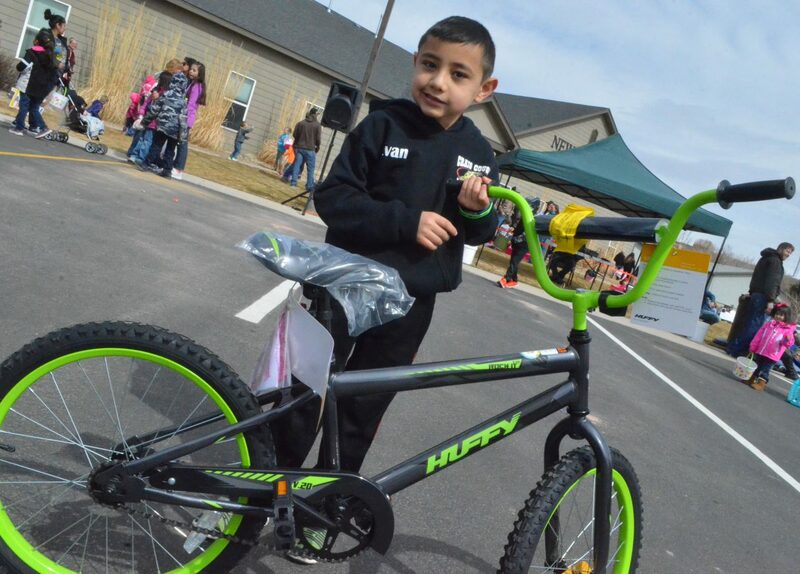 Evan Balbuena smiles with his new Huffy bicycle, won during New Creation Church's Easter egg hunt. 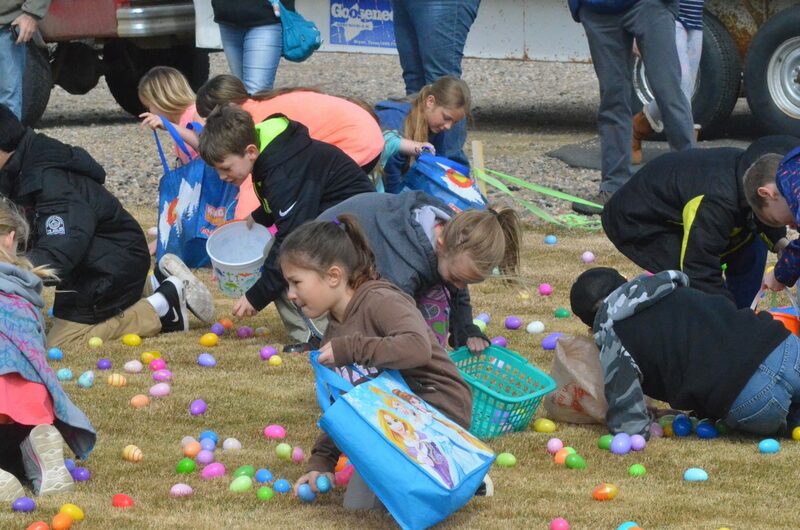 Both a returning favorite and a new tradition kept Craig kids busy Saturday leading up to the Easter holiday, as egg hunts hosted by New Creation Church and Adventure Zone attracted big crowds. Hundreds of kids and parents were out bright and early on the grounds of New Creation west of town, with 25,000 plastic eggs filled with candy and other surprises up for grabs, plus dozens of prize giveaways including bicycles and gift baskets. 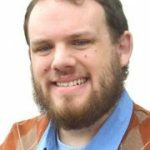 Organizer Amber Goodenow noted the help of sponsors Subway, Walmart, The Copy Shop and Creative Arts with Julie, as well as the many volunteers within the church who aided with planning. Months of preparation ultimately leads to a hunt that lasts less than 20 minutes, though that’s part of the excitement, she said. “It goes fast, but it’s really fun to put it all together,” she said. 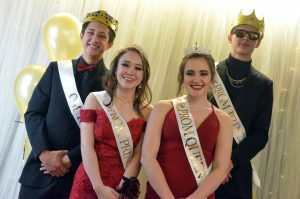 Bounce houses, bubble ponds, a petting zoo and other activities were also part of the good times. 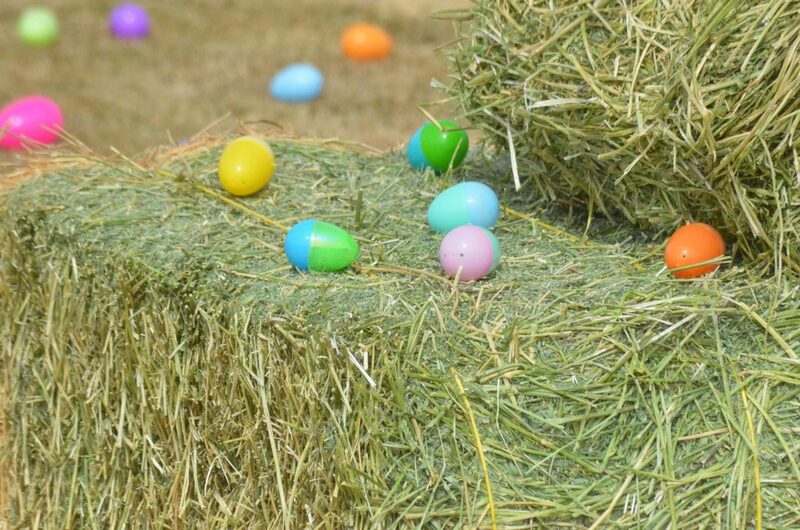 Goodenow estimated that the 25,000 eggs used is about as much as can fit within the space they use, though she hopes to keep giving out more and more prizes each year. Later in the day was the egg hunt at Adventure Zone, the first time the new Craig business has offered it. Owner Vaughn Slover said he was pleasantly surprised with the turnout, as a large crowd of kids took no time at all to gather up 500 eggs. 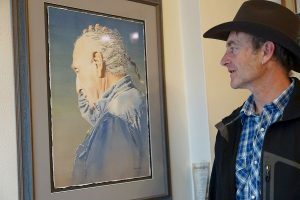 “Next year, we’re going to have three times as many eggs and three times the help,” he said. The family activity center features a plethora of inflatable structures and slides, which children were bouncing on well after all the eggs were gathered.